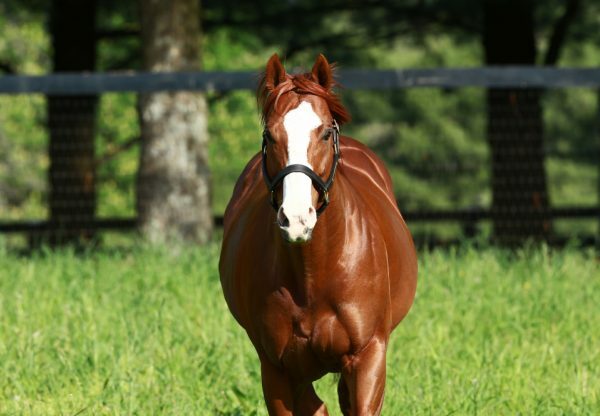 Exciting young sire Munnings made every post a winner in the US on Saturday with a Grade III quinella, a smart stakes-winner and another impressive winner at Woodbine. Promising colt No Problem (2c Munnings x Brief Tears, by Orientate) gave Munnings his first Graded winner when defeating another Munnings in Alright Alright (2c Munnings x Afare, by Meadowlake) to win the Grade III Bob Hope Stakes at Del Mar (pictured). There was just half a length separating the two colts at the end of the seven furlongs with victory going to the less fancied Mike McCarthy trained No Problem, who has two wins from three starts on the board and prizemoney topping $80,000. No Problem is the first winner for Brief Tears, a half-sister to Grade II winner Eaton’s Gift. Talented filly Lake Sebago (2f Munnings x Aviva’s Pride, by Borrego) broke her maiden when scoring by 11 ¾ lengths at Laurel two starts back and claimed her first Black Type success at the same venue when winning the $100,000 Smart Halo Stakes. Sporting blinkers for the first time, the John Robb trained filly finished strongly to win the six furlong sprint by half a length, her overall record two wins and two seconds from four starts with nearly $100,000 in prizemoney. “I expected her to win,” said John Robb. “She wore blinkers for the first time. I don’t like using blinkers the first few times out. She won her first race and the jockey came back and said she was green and needed blinkers, but I couldn’t change them because she won. 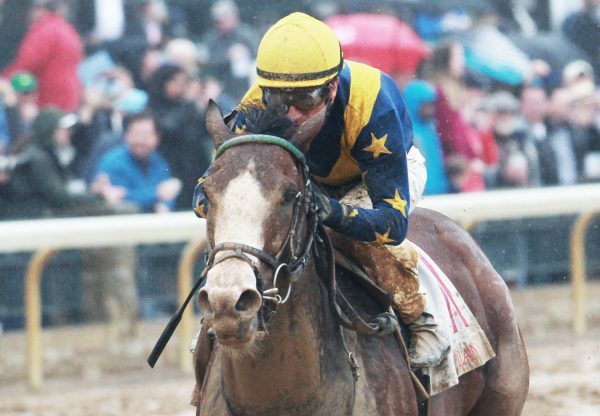 When she finished second in her last race I could put them on.” Lake Sebago is the first winner for Aviva’s Pride, a half-sister to stakes-winner Hollinger. Trained by Ian Howard, Fifth Business (2g Munnings x Evening Princess by Monarchos) opened his account when scoring a neck victory over six furlongs at Woodbine. Placed at his three previous runs, Fifth Business was well overdue to break through and is the 19th winner for Munnings, who now has two stakes-winners on his tally in No Problem and Lake Sebago.